Reward offered after Confederate statue destroyed in Sylvania, Ga.
A landscaping company found the statue "virtually destroyed" Friday morning when they went to the cemetery for maintenance of the grounds. 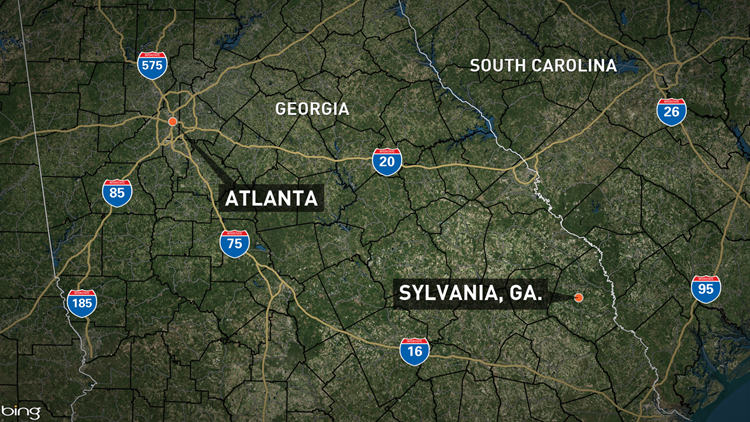 SYLVANIA, Ga. -- A reward has been offered in connection with the investigation of the vandalism of a Confederate monument in the east Georgia city of Sylvania. The Screven County Sheriff's Department, the Georgia Bureau of Investigation and the Sylvania Police Department are investigating the vandalism, during which a statue of a Confederate soldier was found broken off of its base and broken into multiple pieces on the ground early Friday at the Screven Memorial Cemetery. According to the Augusta Chronicle, a landscaping company went to the cemetery on Friday for regular maintenance of the grounds and found the Screven County Confederate Dead Monument "virutally destroyed," according to a release from the city of Sylvania, who oversees the cemetery grounds. The release said the monument was intact Thursday evening. "The City of Sylvania does not condone the destruction of any historical monument," Sylvania Mayor Preston Dees told the Chronicle. "We maintain the utmost respect for the men from Screven County who lost their lives." The monument was first erected on April 26, 1909 - Confederate Memorial Day - and moved to the cemetery in the 1950s when the city turned the park where the statue was originally located into a parking lot, the Chronicle said. The Chronicle says a $2,000 reward has been offered by the Georgia Division Sons of Confederate Veterans for the arrest and conviction of the guilty party. Anyone with information can contact Sylvania Police at 912-564-2573, the Screven County Sheriff's Office at 912-564-2013 or the GBI at 912-871-1121.